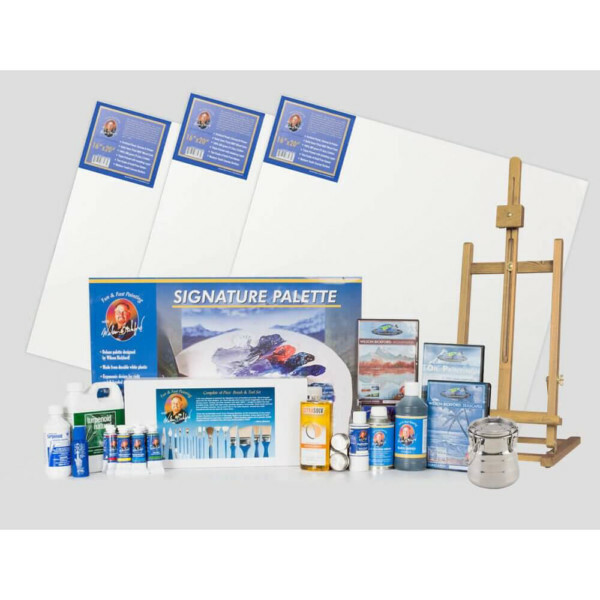 When you attend one of our painting classes Canterbury, you will find that all the materials you need in class are laid out, ready for you to use, and are included within the course fee. We see however, that most students want to practise and continue what they have learnt in the painting classes Canterbury at home. To help you do this, all the materials we use in the painting classes Canterbury are available for you to purchase at heavily discounted prices.. @ just £25 (RRP £50+) Far cheaper than you would pay normally within art stores. Importantly they are exactly the same products you have been using in your lessons, you won’t find any colour variations that might spoil your finished artwork.